A singer' delight, combining the power of a dreadnought with balanced tone and excellent electronics. With Takamine' distinctive NEX body style, the P6N is a singer' delight, combining the power of a dreadnought with balanced tone that perfectly complements the vocal range. It features a resonant solid spruce top with scalloped œX top bracing for superior balance and articulation, a solid flame maple back and flame maple sides, and elegant ivory body binding with black and white purfling and mother-of-pearl rosette. 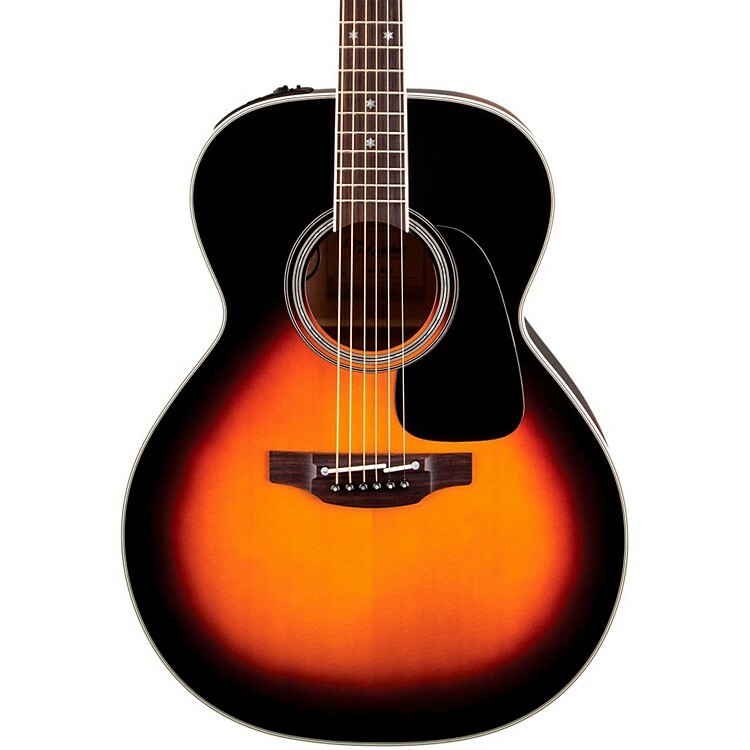 Built with the performer in mind, the P6N features Takamine' proprietary CT4-DX preamp system and unique Palathetic under-saddle pickup for superior amplified response. The dual-channel CT4-DX provides a four-band EQ, two feedback-reducing notch-filter controls, a flexible dual-pickup mix control (for use when a second pickup is added), volume control and an onboard tuner.